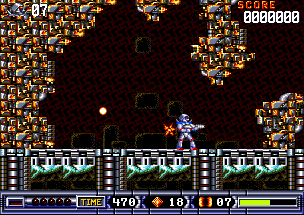 If you jump and hit space and fire like crazy (with enough Power-Lines equipped!) 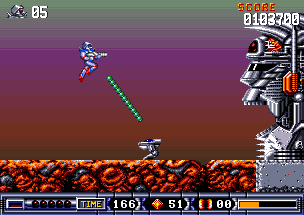 you can jump higher! 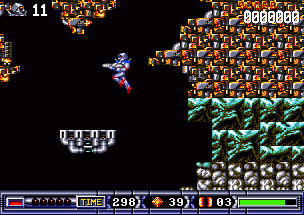 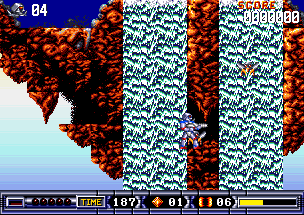 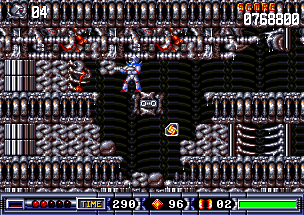 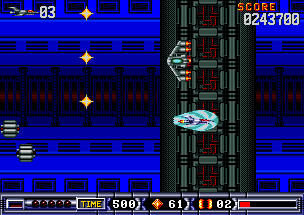 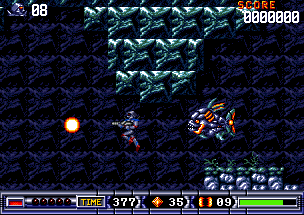 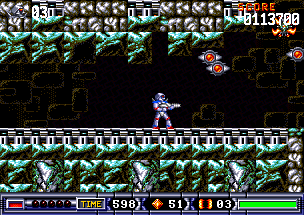 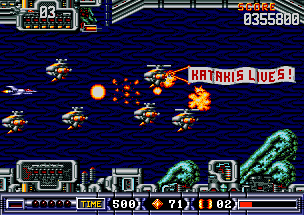 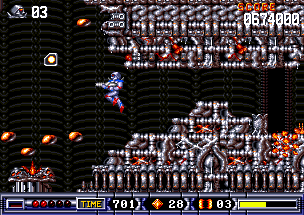 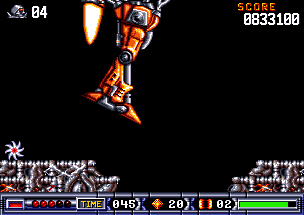 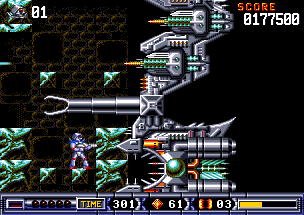 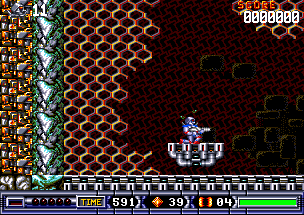 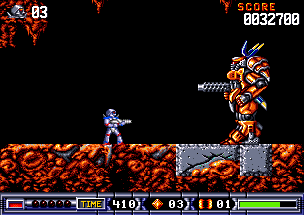 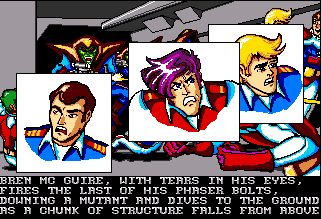 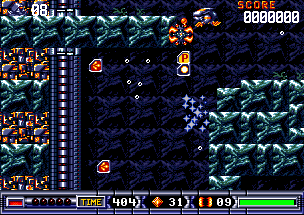 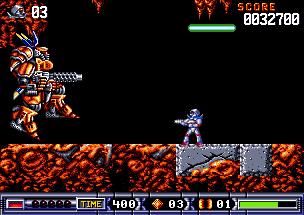 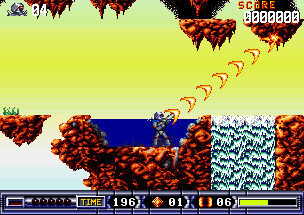 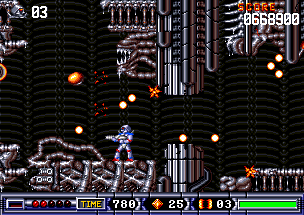 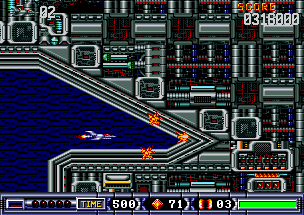 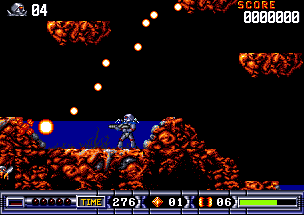 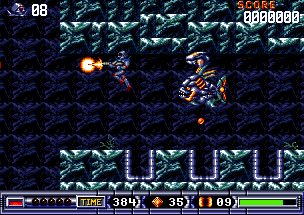 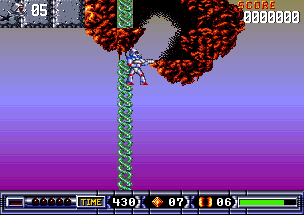 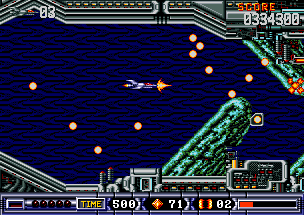 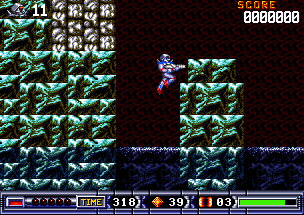 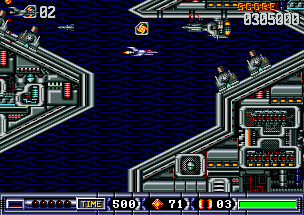 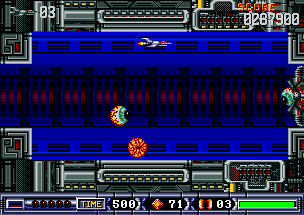 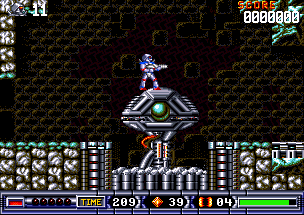 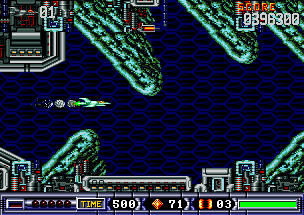 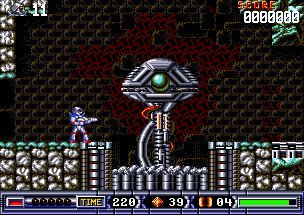 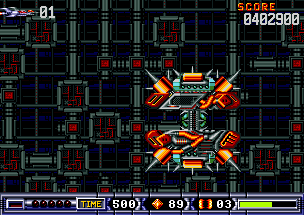 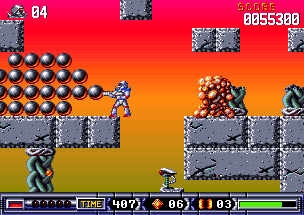 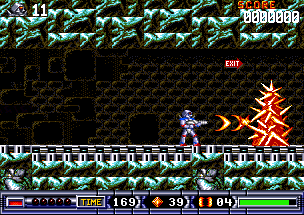 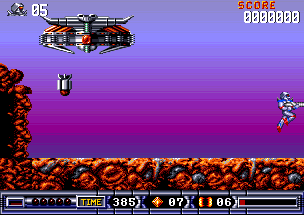 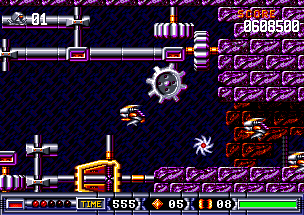 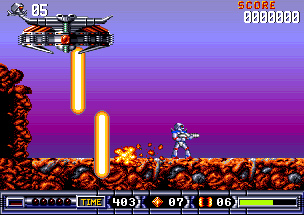 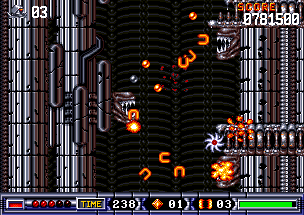 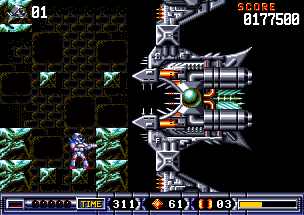 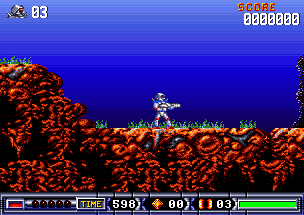 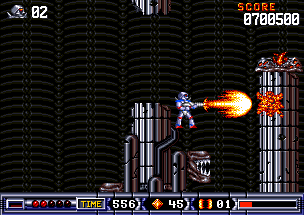 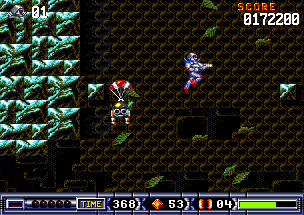 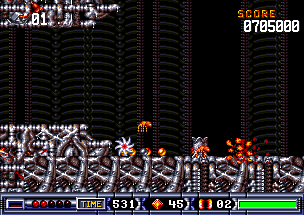 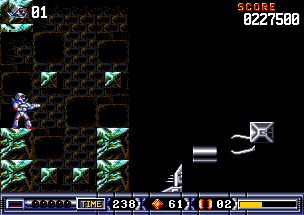 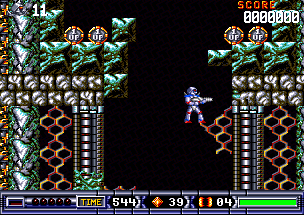 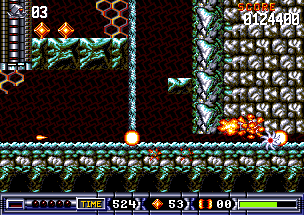 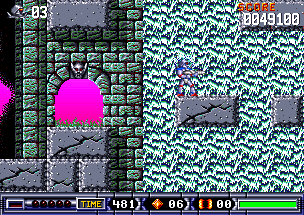 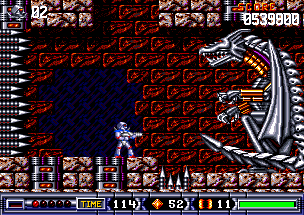 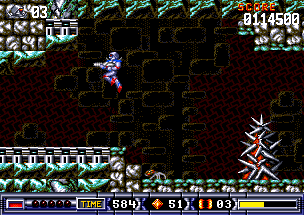 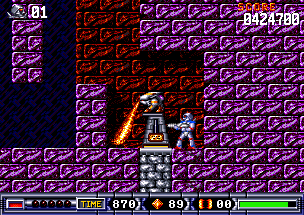 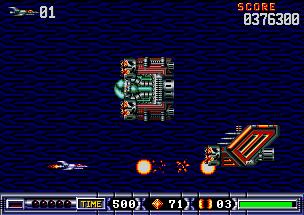 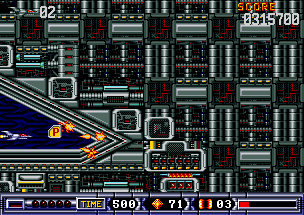 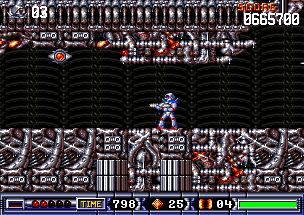 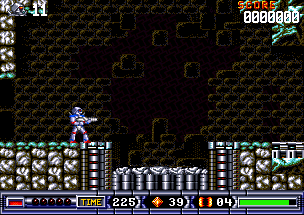 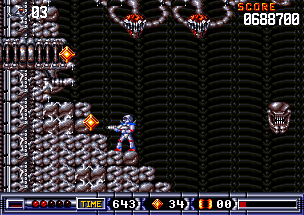 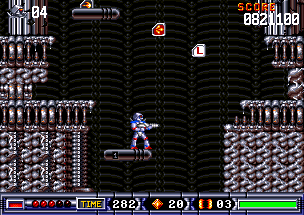 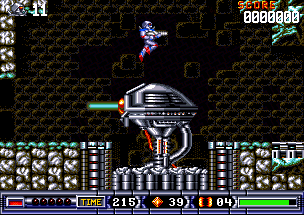 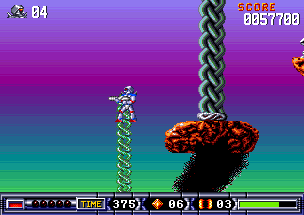 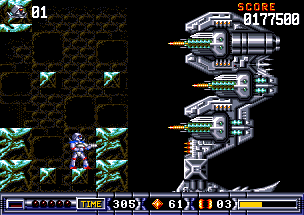 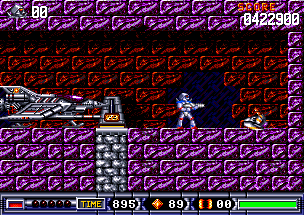 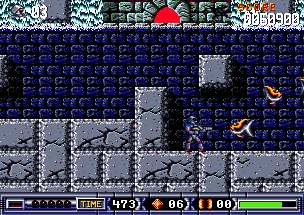 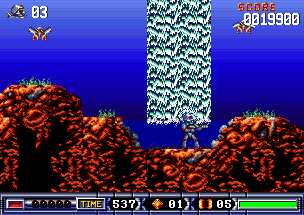 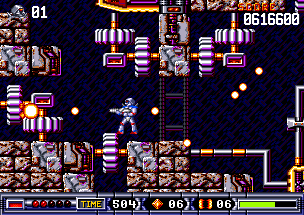 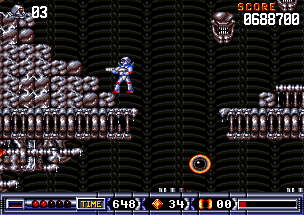 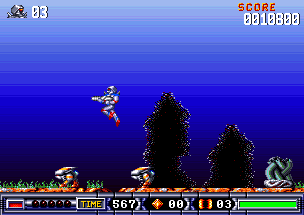 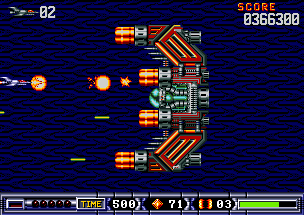 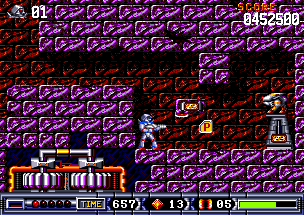 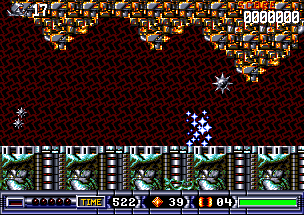 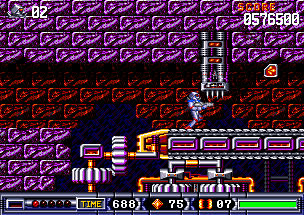 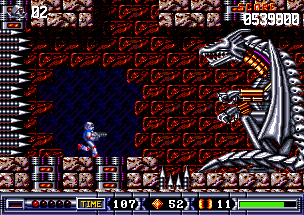 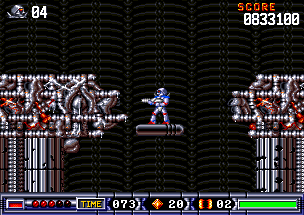 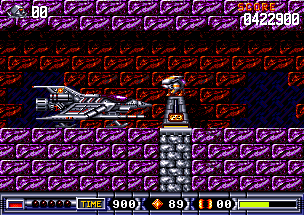 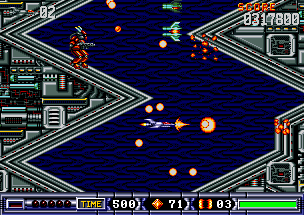 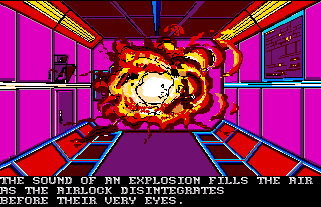 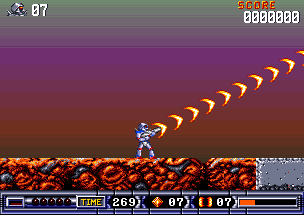 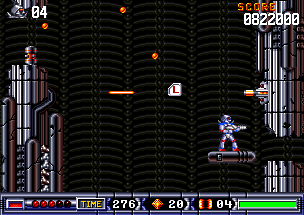 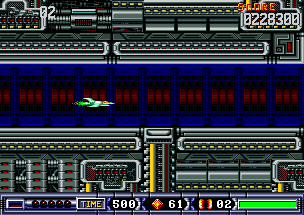 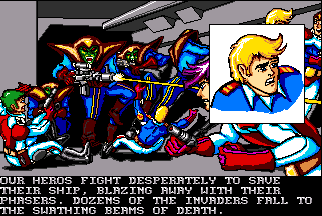 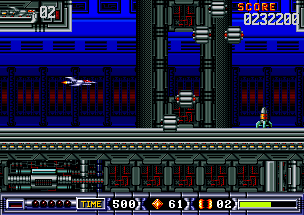 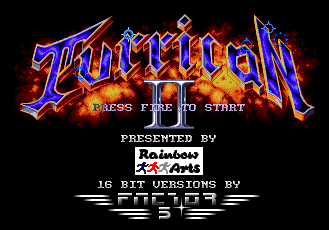 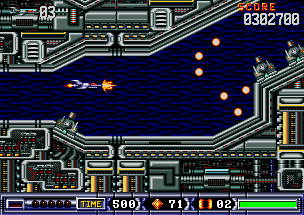 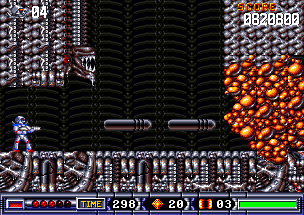 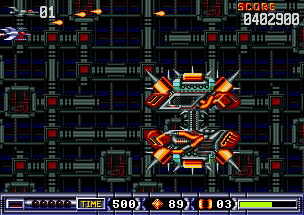 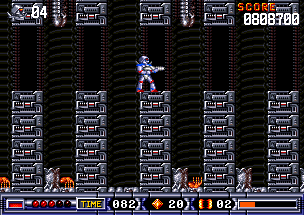 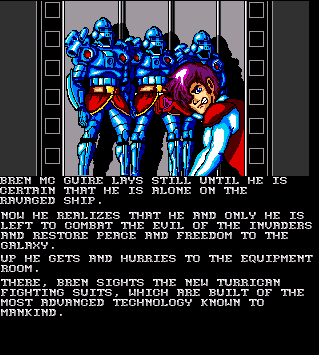 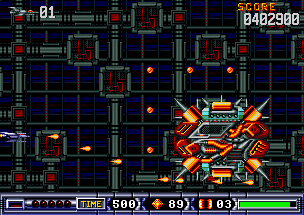 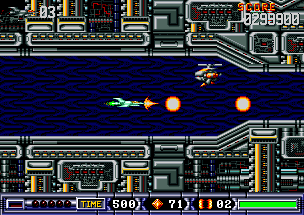 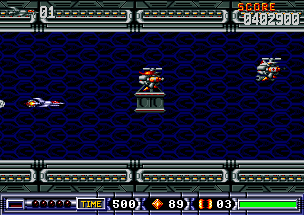 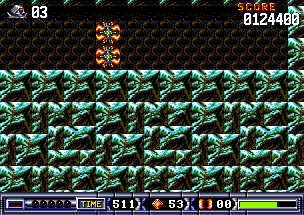 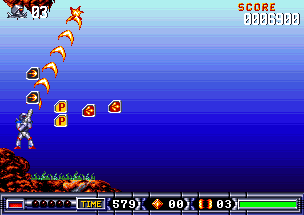 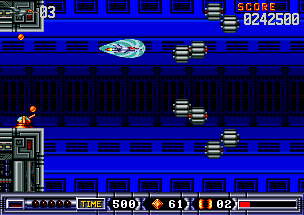 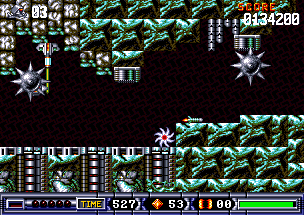 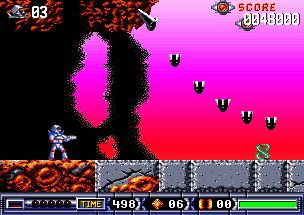 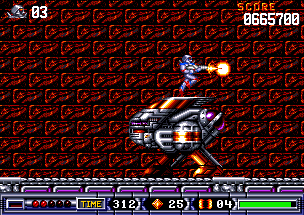 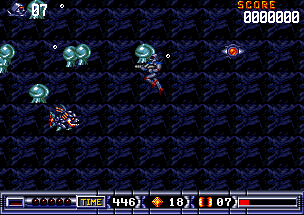 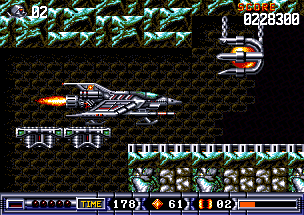 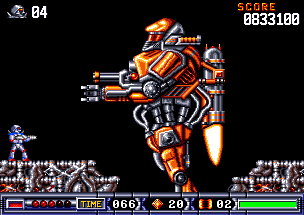 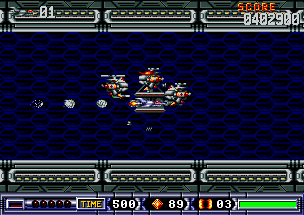 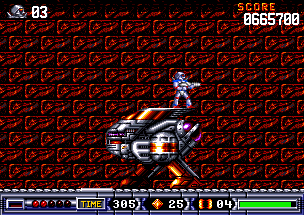 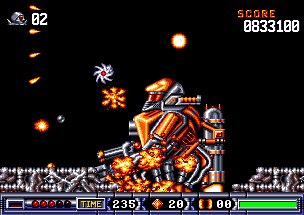 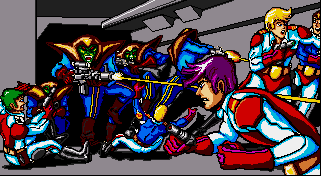 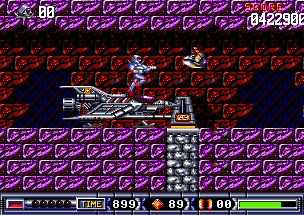 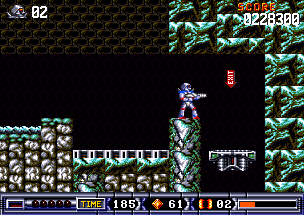 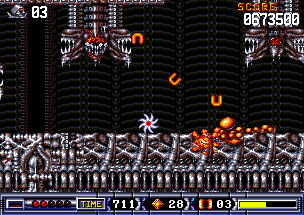 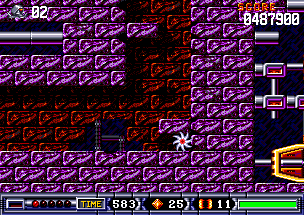 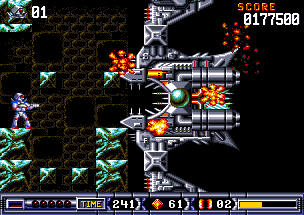 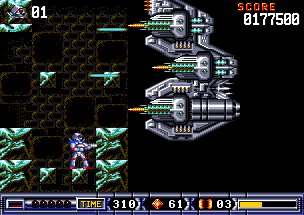 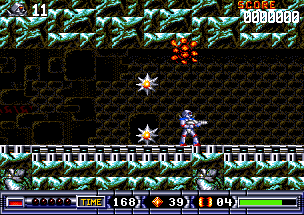 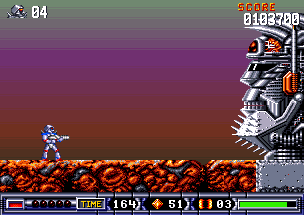 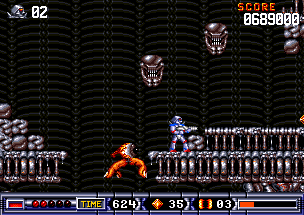 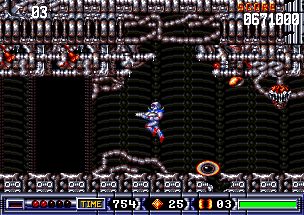 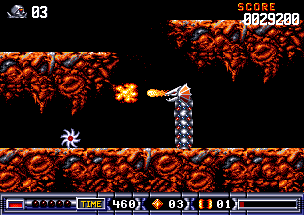 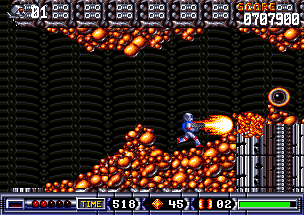 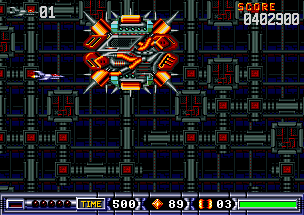 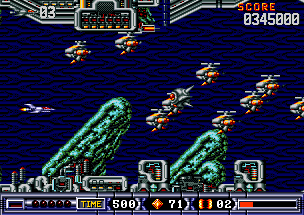 Many Bosses can be killed using the lightning beam before they even fire a single shot. 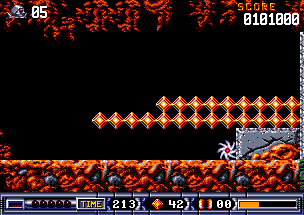 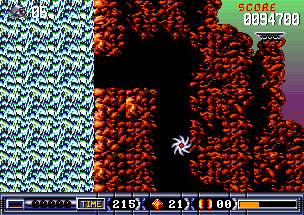 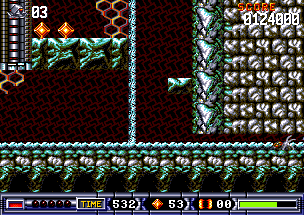 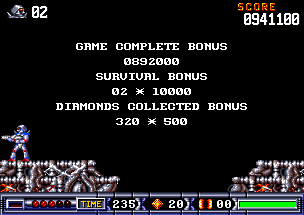 It is possible to jump over the hole leading down to the dragon boss, so fighting the dragon isn´t a must. 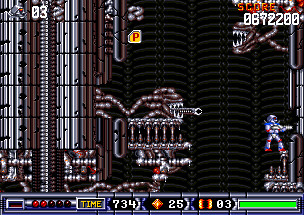 But first you´ve got to know where the hole is..
Secret or Error? 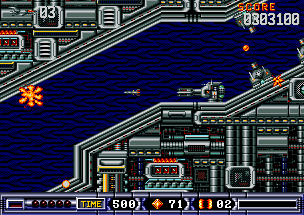 If you roll in here (water-level) you roll out of the screen, but you can´t get up. 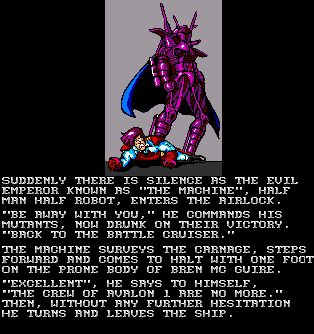 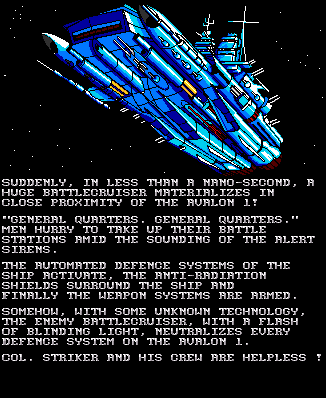 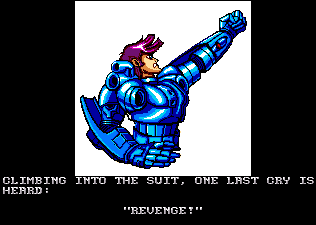 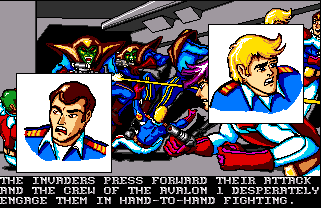 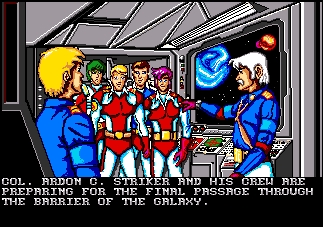 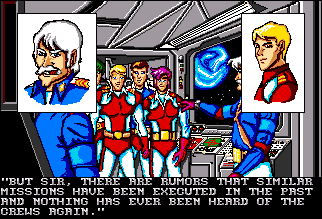 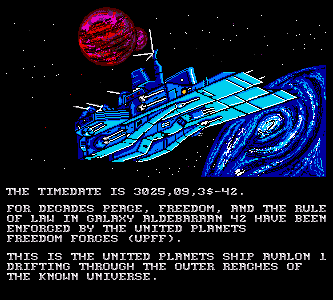 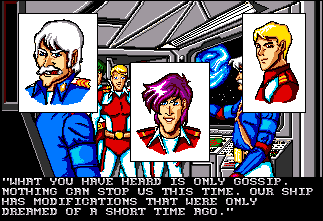 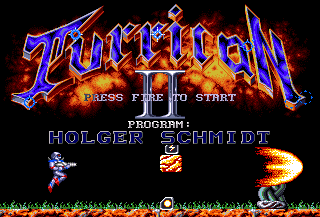 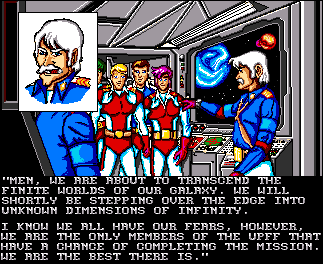 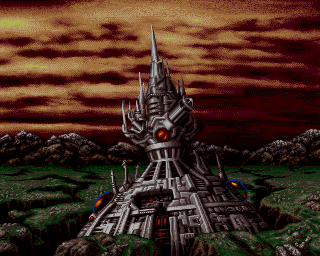 If you then start the super-weapon (fire+space) you stand again. 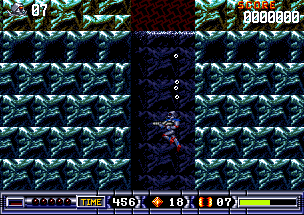 If you move left and right a bit - you fall down directly to the exit! 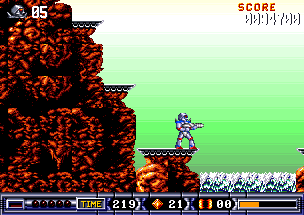 Have a look at this map if you want to know where exactly this is.